The various authors of the Bible wrote to groups of people. Moses wrote the first five books of the Old Testament to the entire congregation of Israel. In fact, the whole Old Testament was written for the people of Israel that they may know their history, their origins, their faith, and most importantly their God. The New Testament was largely written to whole churches. As Westerners who love our independence and individualism, we have a habit of reading the Bible as if it were written to individuals. This influences the way we interpret the text and limits our understanding of what God is saying through his word. For much of church history, the people of God gathered together to hear the Scriptures read aloud. People could not read and study the Bible on their own at home because it was not easy to own a copy of the text. However, in the modern day, we take private Bible reading with our personal copy of the text for granted, as if it has been the norm throughout history. Praise God for the printing press! We can now immerse ourselves in the scripture on our own. However, other than gathering for a sermon or maybe a Bible discussion, we have largely forgotten that scripture is for a community, not just individuals. Because of this, we tend to interpret and apply the Bible through the lens of individualism. We struggle to see the community emphasis because of the blinders of our culture. For example, 1 Corinthians 6:19 is commonly applied to refer to taking care of our physical bodies because they are temples of the Lord. However as is explained in Misreading Scripture with Western Eyes, we misunderstand the plurals in that passage. “Do you not know that your bodies are temples of the Holy Spirit, who is in you, whom you have received from God? You are not your own” (1 Cor 6:19). You is plural, while temple is singular. The community of believers all together are the temple of God. While we must steward our physical bodies as gifts from the Lord, this passage speaks to how we should love the body of Christ. Rather Paul tells the Corinthian believers to care for and respect their local church body. Knowing this makes for very different applications from this passage. Rather than eating healthier or getting more sleep, it should lead us to reconcile with our brothers and sisters in Christ and care those who are hurting. In order to study the Bible well, we need community. I can study a passage for hours and then take part in a group discussion thinking I have really come to know this passage well. I’ll even have read several commentaries to get further insight. Then I sit in a group with a handful of other believers and without fail, at least one of them will point out something that leaves me speechless. I sit back thinking, “Wait! Has that been there the whole time? 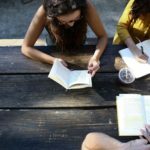 How did I miss that?” All of my hours of study were helpful and fruitful to both me and the group, but nothing could replace the gathered believers exploring and discussing the Word of God together. Christ said, “Where two or three are gathered in my name, there I am among them.” (Matthew 18:20 ESV) The Lord can and does give insight into his Word to individuals studying on their own, but there is a special synthesis that happens in the gathered body of believers. We learn from each other, but we also learn together from the Spirit of Christ among us. As Richards and O’Brien put it: “So why go to church? Why worship with a group? Because, in some way we may not fully understand, the Spirit indwells the group in a way the Spirit does not indwell the individual. We are all built together to become one, whole building: a single dwelling for his Spirit. Like it or not, we need each other” (Misreading Scripture, 109). 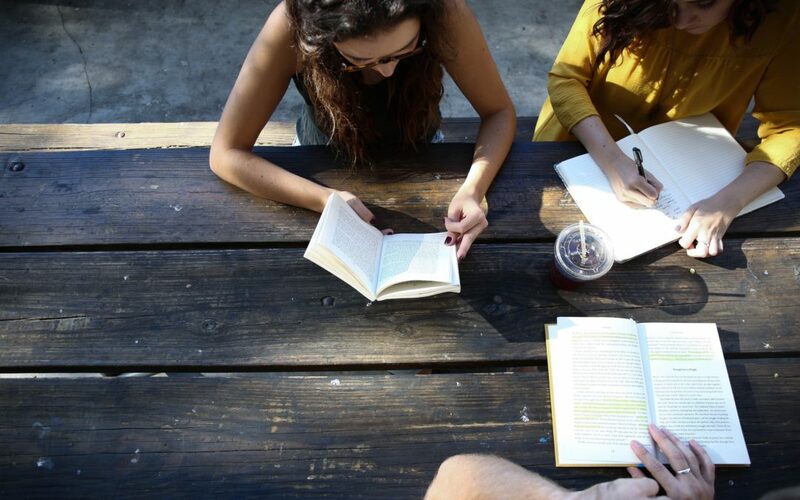 Unfortunately, we may have difficulty engaging the Bible as a community and studying together.When we get together for Bible study, often we float on the surface of the text rather than doing the hard work of mining the text as a community. Granted, the entire group must develop this skill. It takes practice and vulnerability with each other. But when we can successfully study together in order to develop a deeper understanding of the text, we get the joy of learning from perspectives other than our own. Scripture was written to communities and intended to shape communities. A commonly quoted and much loved passage has a layer of meaning that is easily missed by Christians within individualistic cultures. Our cultural blinders keep us from seeing the full weight of the text, and we must work hard to take them off. We read these as singular pronouns, but they were written to the church. Remember this letter was being read to the gathered body of believers. Imagine being in a gathering having this letter read to the group. You know it’s an important letter, and everyone is hanging on every word. Y’all have read through the bulk of the letter by now, and it’s all focused on the Gospel. Now it seems to have shifted. This is our response to the Gospel. Even modern day readers can get a hint of this understanding by reading verses 3–7. Paul immediately jumps into specifics of how spiritual gifts should be used within the church. He doesn’t transition to what Church life should look. He is already talking about it. For Christians within individualistic cultures, this reading of the passage might break a lot of our boxes. In an effort to understand what the Bible is saying, we need to make the effort to understand what the original audience would have heard. Their culture was very different from our own so the assumptions they brought to the text and the context within which they read it means that they understood it differently than we do. Should we still seek to be individually transformed by the renewing of our individual minds? Of course! We should pursue holiness in whatever way we can! However, the witness of Scripture seems to say that transformation happens not only — and maybe not even primarily — on the individual level but within the Body of Christ. While we should still be jumping for joy that we can hold a copy of the Bible in our own hands (or phones), we need to remember to read and study within community. We need to challenge our individualist mindset and ask God how the passage we are reading should shape and form our community. If we fail to do this, we will miss part of what the Lord communicates to us through his word, thereby missing opportunities to obey and worship him. 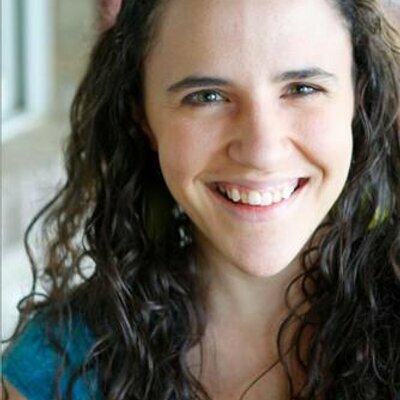 Heather writes about the intersection of Bible literacy and cultural transformation. She lives in Ithaca, NY with her husband, son and dog. She’d like to say she enjoys the great outdoors, but mostly she just reads books. Find her at heatherhocking.com.